Display all events of your data files in the event list. Load all data files within your specified review interval which can have a duration between 2h and 24h. Add new events using hotkeys or 1-click. They are added automatically to the EEG report. Create your own montages and filters or choose from a large predefined set. Select different montages and filters by only 1-click. 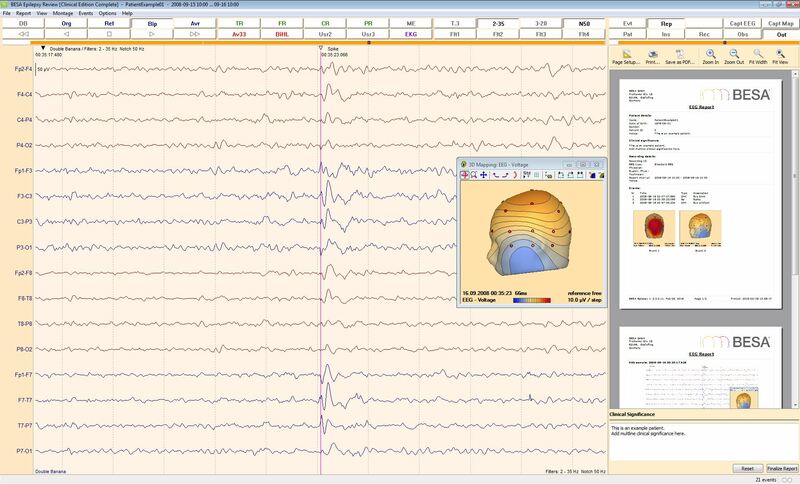 Copy EEG images or 3D map images to the clipboard by 1-click. 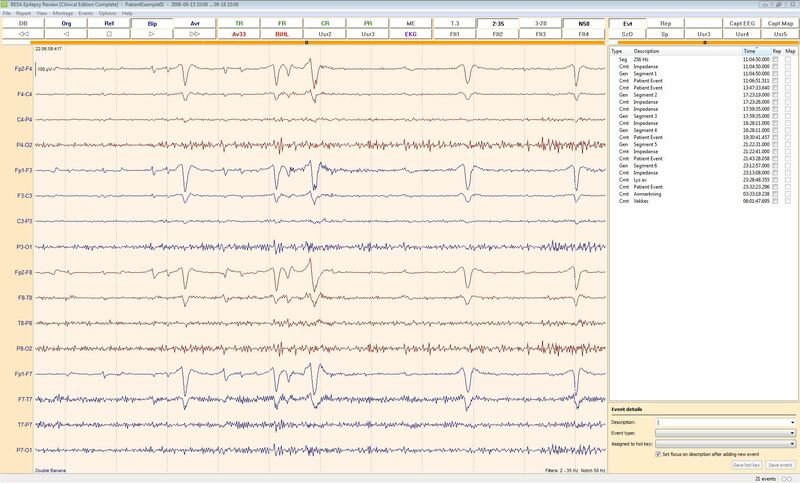 Finally print the EEG report or save it as PDF.